Hausfeld is a leading global antitrust / competion law firm. With offices in the United States and Europe, they came to Moiré transform and unite their firm under one name, one brand. 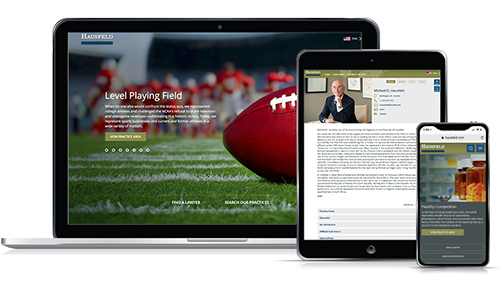 Now Hausfeld has a living and growing brand system that can keep up with their evolving legal innovation and thought leadership. Moiré enhanced Hausfeld's signature with an integrated user experience design, visuals and mobile responsiveness, and built the new website is built on Moiré's non-proprietary Content Management System, LawEngine. The logo depicts a powerful, confident and united firm and updated attorney bios and photos add a personal touch. 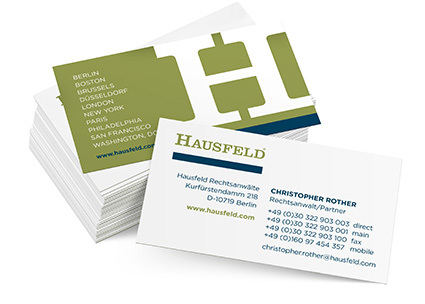 All together, Hausfeld's new brand with lives up to their unparalleled service. Moiré's network of skilled corporate photographers traveled to across the U.S. and Europe to ensure that Hausfeld's lawyers looked approachable and confident.